Join 106 KHQ every Wednesday night on the slopes Schuss Mountain at Shanty Creek Resort for KHQ Ski Nights! Get $10 lift tickets and $15 rentals from 5-9 every Wednesday throughout the skiing season. Whether you’re a Black Diamond expert, or a beginner, Shanty Creek features the best and most versatile skiing in Northern Michigan. The only place all season where you can ski for just $10 every week! 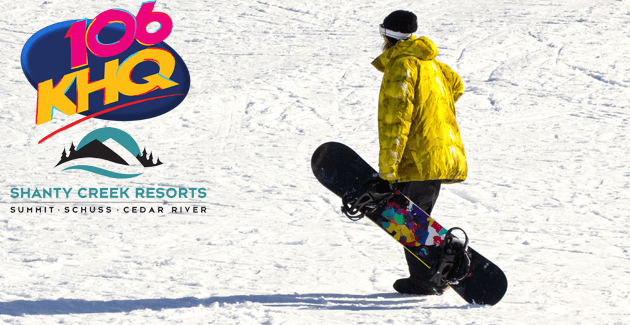 Hit the slopes every Wednesday with Shanty Creek and 106 KHQ!